Coral Resorts is a unique development company specializing in building only GOLD CROWN AWARDED properties. Why stay in a hotel when you can stay in a fully equipped villa, townhouse or cottage with indoor and outdoor whirlpool spas, washer & dryer, entertainment center, TV's in most bedroom and living room, VCP, all kitchens utensils and tableware. Each unit is professionally decorated and refurbished every five to seven years. All our resorts have at least one heated pool on site, activities programs for children and adults, and beach access. Many come with a free membership at a Health Spa, which includes an indoor heated pool along with the latest workout equipment. 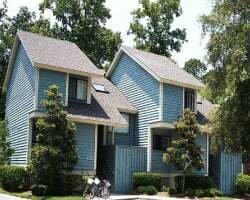 Hilton Head Island is perhaps the finest resort community along the Atlantic Coastline offering natural beauty along with a playground of outdoor activities. World renowned for it's golf and tennis, Hilton Head also offers a variety of water sports, miles of bike paths, wonderful restaurants and great shopping. Enjoy access to some of the finest resorts in Hilton Head with The Coral Resorts Group: Coral Reef, Port O' Call, Coral Sands, Island Links. Enjoy relaxing at this gorgeous resort in Hilton Head every even year! Buyer may receive a title fee credit, inquire for details! Flexible vacation ownership! Choose new dates and resort every vacation! Buyer may receive a title fee credit, inquire for details! Multiple locations available! Explore a different one each year! Buyer May Receive A Title Fee Credit, Inquire For Details! Maintenance fees paid every 3 years. Choose from a terrific group of resorts! Buyer may receive a title fee credit, inquire for details! Choose from some of the best resorts on Hilton Head Island! Make an offer today! Buyer may receive a title fee credit, inquire for details! Prime location for water lover's close to many water based activities! Buyer May Receive A Title Fee Credit, Inquire For Details! 2017 Maintenance fees have been paid! Week can float in the gold season! Buyer May Receive A Title Fee Credit, Inquire For Details! Many locations available! Pick your dates with 33,000 annual points! Buyer may receive a title fee credit, inquire for details! 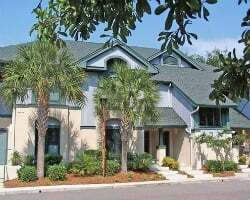 Choose from a fine selection of resorts on Hilton Head Island! Odd year usage in week 11! Buyer may receive a title fee credit, inquire for details! Highly motivated seller! Price Negotiable! 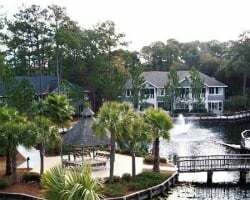 Enjoy a variety of Gold Crown Rated resorts on Hilton Head Island! Flexible vacation membership! Enjoy a number of Hilton Head resorts! Buyer may receive a title fee credit, inquire for details!